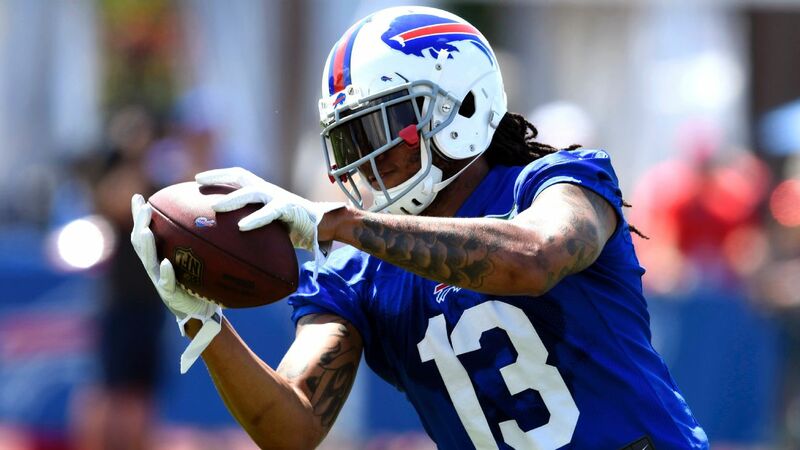 ORCHARD PARK, N.Y. -- Buffalo Bills wide receiver Kelvin Benjamin said he was not "even trying to listen" to Carolina Panthers quarterback Cam Newton during what appeared to be a tense pregame interaction Thursday before the teams' preseason opener. Benjamin also reiterated after the Bills' 28-23 loss to the Panthers that he was "moving on" fromcritical comments he made last week to The Athletic in which Benjamin said he would have been better off the first 3 years of his career had he been with a quarterback with better accuracy and "knowledge" of the game than Newton. During individual warm-ups about an hour and a half before the game, a photographer from The Charlotte Observer captured Newton approaching Benjamin as he spoke with former teammate and current Panthers linebacker Thomas Davis. At one point, Newton motioned to Davis to leave before Newton, with his hands folded behind his back, followed Benjamin around the field. Newton later waved off Benjamin in apparent frustration before the two parted ways for the rest of warm-ups. Newton declined to speak to reporters after the game. Benjamin answered questions about the exchange by saying he was "moving on," although when asked what Newton said to him, Benjamin responded, "I don't know. I wasn't even trying to listen." In brief action Thursday for both players, Newton went 6-for-9 passing for 84 yards, and Benjamin caught four passes for 59 yards, including a 28-yard touchdown.